box on top of all the usual pre-event service items. new ones in time for the BajaGB. Besides I was hoping just to fit everything into the spare casing that I have in the garage. hopefully we can get it sorted by the end of the week. The damage we’ve found so far from the Scottish. Oh dear is that a crack, originally uploaded by friesian_racing. 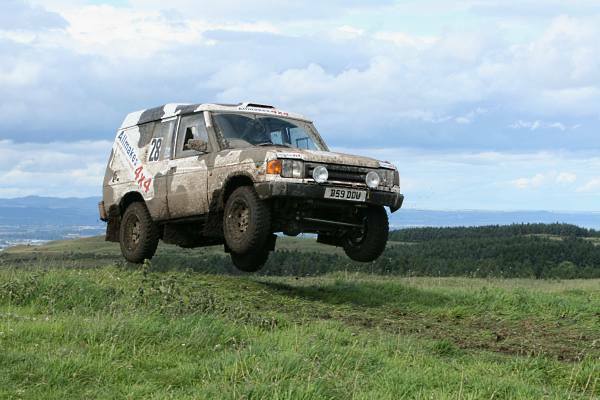 Middleton Stoney based racing team – Friesian Racing (so called because of their distinctive cow-like livery) have returned from the gruelling Scottish Perthshire Hillrally with a second place in the Super Production class with their Land Rover Discovery, ‘MuddyMoo’. The event was not without drama for the Friesian Racing herd, the wet conditions meant that the already tough Perthshire moorland terrain was even more difficult than ever. Mud and bogs, wet grass and rocky hill climbs conspired to make this year’s event one of the hardest ever, to even reach the finish was an achievement. Chipping Norton’s Ray and Vonnie Kempster (Milner R4 ProTruck) were just one crew who didn’t make it to the end. 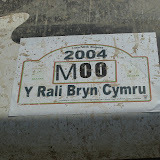 Henry Webster with co-driver Sarah Suter (Chepstow) on one occasion found their route barred by a closed gate – with no option but to hit it, the gate bounced out of the way with little damage to either party! Thanks to Sarah for pointing this out, found on YouTube – thought I would share it! Wow, what a weekend – I’m afraid I’m too shattered to write a full update on the event tonight, but as a quick taster, we have just arived back clutching our second in class trophies and pleased to be place 17th overall. The gruelling event has proven that the work that we have put into the car over the winter has been well worth the effort. The result doesn’t really do justice to how well we did over the course of the weekend. If it wasn’t for a few frustrating issues (most out of our control) we would have been placed much higher. We have shown once again that we have the pace to seriously challenge for the honours, so roll on BajaGB where we hope to pull out the stops for a good result! Must just say a HUGE thank you to all the Friesian Racing crew for their fantastic support and hard work, both in the weeks and months leading up to the event and during the event itself. Thanks; Sue, Andrew, Dave and Joel – co-driver Sarah, husband and rival Richard, my parents Nigel and Ronnie and Willie MacRae for the photo! Also again thanks to Allmakes for their fantastic support and to Dave Bellamy in particular for going the extra mile to get stuff to us and sort things out! We’re off! Welcome Allmakes 4×4! 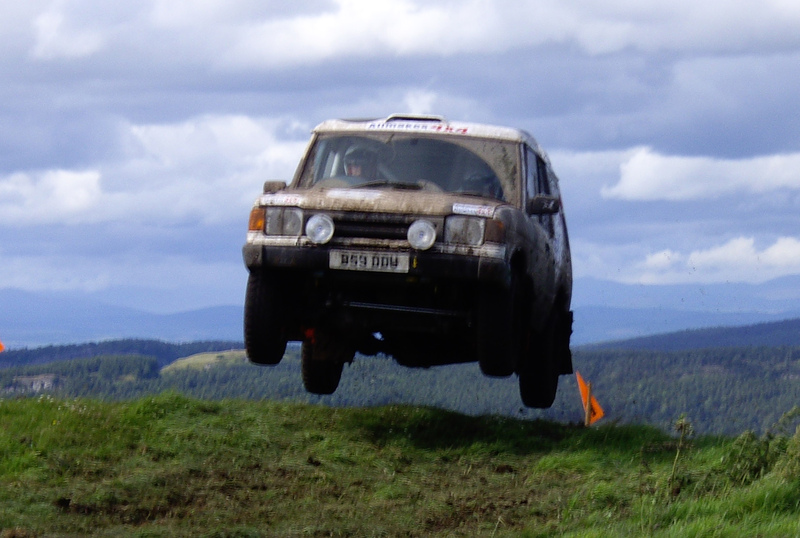 So, now we are all packed up and in transit to our first event of the year, the Perthshire Scottish Hillrally. Tomorrow we will strike camp in the Perth Agricultural Mart and prepare for the Scrutineering process, where they will be checking that we and the car conform to the technical and safety regulations, before the competition proper starts on Friday lunchtime. I can’t wait – although nervous, its been a while since I’ve been behind the wheel in a race situation and I’m really looking forward to it. I’m going to try and keep the blog updated throughout the event, but that will depend on the schedule and what the mobile access is like at the HQ. So check back for our progress on the event as we bid to win the Super Production class in the Matador National Hillrally Championship for the third year in succession! 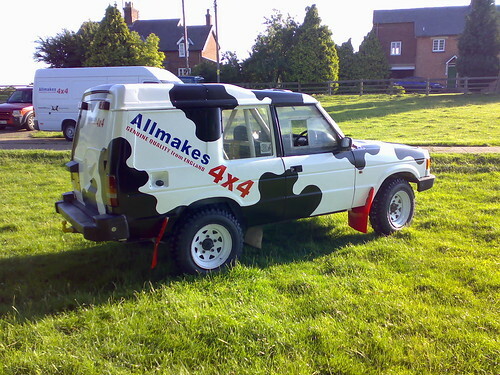 I should also say a very warm welcome to our new sponsors Allmakes 4×4. The Allmakes Group specialise in the supply of high quality Land Rover parts and accessories, and we’re thrilled to have them as part of the Friesian Racing herd! In fact we couldn’t do it without them. Allmakes are helping us launch our biggest attack yet on the UK off road scene, including an attempt on the Baja GB in August, providing all goes well this weekend! 11072007204, originally uploaded by friesian_racing. So, what’s it been like as co-driver recently? The wait throughout winter for our first event has seemed SO long, then suddenly it’s a matter of weeks away and the entry form goes in late! The event still felt very distant until a visit to Henry a couple of weeks ago. Seeing MuddyMoo in the flesh brought it all back, the quiet moments before the stage checking and rechecking everything, the heart pounding faster as you wait at the start line, then the fantastic moments of absolutely epic driving from Henry… just awesome! The new paintwork looked great, I couldn’t help feeling MuddyMoo looked rather naked just white. Seeing her looking ready to run, I just couldn’t stop grinning for ages! It was so great catching up with Henry and Andrew too, not having seen them for months. Feels like family though, that’s one of the brilliant things about being part of the MuddyMoo team, it’s a total pleasure to be part of. I can’t wait for the whole team to get together and for the event now! I really enjoyed helping out in the garage too, as much as I could. I am quite excellent at passing things, just maybe not always the right things! 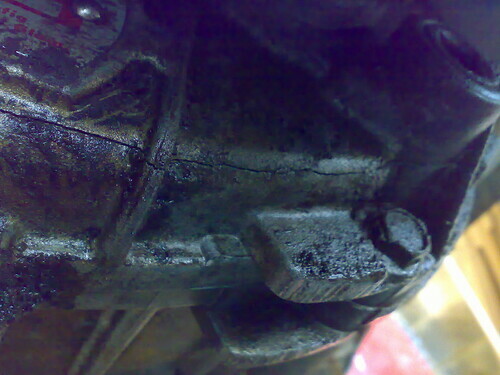 With an iota of my brother’s mechanical knowledge, I’d have been loads more use, but I’ll do whatever I can to help out. The shocks situation was a bit of a setback, I’m not sure what’s happening with that now but it’s all in Henry’s capable hands, and doubtless appears on a list as long as.. erm, well as least as long as the wrong shocks! I know Henry is really hard at work with his list of things to do, and if I lived closer I’d be there to help too. All I can do really is go over the things that I can do, and get nervous! Still, I brought the intercom home with me and got our communications sorted (well, delegated it to my in-house technical expert, husband, and rival competitor Richard). I’ve also been hard at work on other slightly random things, like an idea Henry had for promoting events which we’ve put into practice, and working at the Goodwood Festival of Speed. All in between my day job (which of course goes mad about the same time as the motorsport season), and doing timing on BORC and AWDC events, and trying to renovate the house Richard and I bought last year. Something has to give and it tends to be our ‘real’ life. Motorsport first! Now, with just over a week to go, the butterflies are really setting in. Do I really know what I’m doing? Will I let Henry down? Will I remember everything I need? Have I got the right maps? Will my new race suit turn up in time? Will my licence turn up in time?! Argh! On the plus side, I can’t wait to be strapped in that fabulous machine, calling the stage out to Henry and trying not to yell out all the ‘yeehaaah’s that ring wildly and merrily around my head as Henry demonstrates some more awesome driving!